Musola Cathrine Kaseketi declares: “You can make a difference”, and she certainly has, by showing that women with disabilities are not different than anyone else; given the chance to learn, excel and succeed. 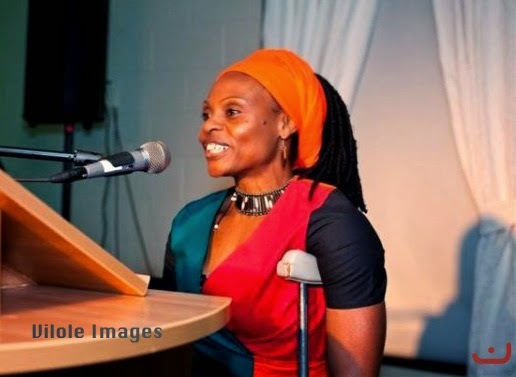 Musola Cathrine Kaseketi founded Shungu Namutitima International Film Festival of Zambia (SHUNAFFoZ) with this objective in mind: to showcase through cinema, the capabilities of people and women in particular, with disabilities. I grew up as a healthy and happy child. I was left with a permanent disability at the age of five from an injection in the nerve of my left leg; nonetheless, my family treated me as a normal child. I also lived with my stepmother who taught me to be independent and a fighter. Because of the caring way that people in my surroundings responded to me, I had no idea that there was discrimination towards persons with disabilities. It was in high school that I started to realised that I was not always accepted in society and therefore, not able to do certain things. Often my feelings were hurt after the many instances when the school authorities isolated students with disabilities from the enabled so that they could not get to know each other. My disability became a motivation to work harder and use art as a tool to communicate. I met a man without hands who led a normal life and could even eat using a fork and knife. This encounter motivated me very much and inspired me to write a story about self-determination in 1989. It was very successful and was a catalyst for the change in attitudes towards disabilities in Zambia. I continued to use dramatic poetry, writing and stage acting as a tool to foster the spirit of self-confidence and self-help, and to impart self-acceptance, self-determination and independent living. Photo: Musola Cathrine Kaseketi receiving an award.